THE BLIND CHATELAINE'S KEYS: POETS ON THE GREAT RECESSION is FRESH! POETS ON THE GREAT RECESSION is FRESH! with 17-year-old poet Faith Pascua, also the Youth Speaks Hawaii 2010 Grand Slam Champion! Also sharing their thoughts are Adam Fieled and Chris Stroffolino. As Faith's piece is illustrated by one of the more adorable images, I want to repost it here (here, where poets' pets are always welcome to be featured on Moi's Blog)! 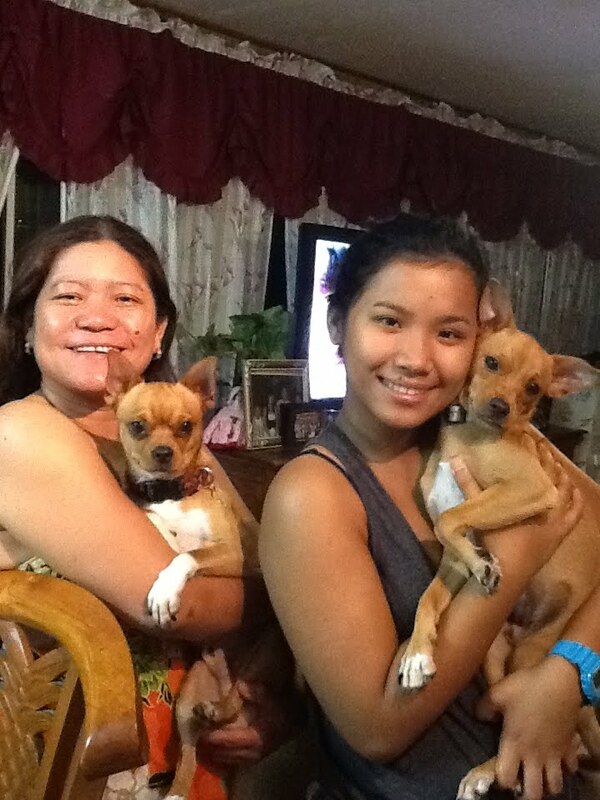 Faith and her Mommy, with their two dogs (left) Bruno and (right) Pacman! "MOMMY, YOU ARE NOT AN ATM..."
DEADLINE EXTENDED FOR GALATEA RESURRECTS! POETS ON ADOPTION IS FRESH!